What is it like to witness the end of one era and the beginning of another? Every journalist dreams of the opportunity. Fate afforded the Pissburgh Post-Gazette’s Ed Bouchette the chance to do just that in 1992 when Pittsburgh STeelers transitioned from Chuck Noll to Bill Cowher. It’s a great article, and I highly recommend reading it. It made me want to dig up the book, of which I was only vaguely aware. While Hombre used some of the material in his article, he thought our readers might be interested in reading the whole interview. I thought so too, and Ed Bouchette kindly agreed to have us publish it. Here it is, and many thanks to Hombre! The Steelers saved the best for last. This was necessary to an extent given the hole they had dug for themselves during the middle of the season. They could have made the playoffs losing as many of two (the right two) of the final four games, but the sweep not only provided the normal satisfaction associated with winning—each game represented different challenges confronted and overcome that will strengthen this team in both the short and long term. You can read Part 1, the background portion of the post, here, and Part 2, the first part of the interview, here. 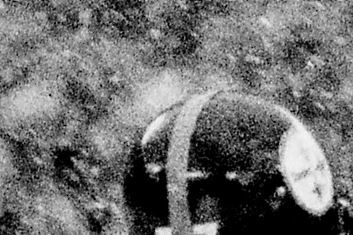 IC: It has always seemed to me that Chuck Noll has not gotten the credit he deserves for what he has accomplished as a coach. Perhaps it is because he has never been interested in bringing attention to himself. What is your take on Chuck Noll as a coach.? RG: I don’t know how there could be a better coach than Noll. There are guys who are just as good, but I don’t think there has been any better. He was the perfect coach for the personnel he had and the city he was in. In reference to your observation that he didn’t promote himself, that didn’t have any bearing on him at all. His satisfaction came from his job well done. Period, that’s it. You can read Part 1, which gives the common background between Grossman and Cole, here. 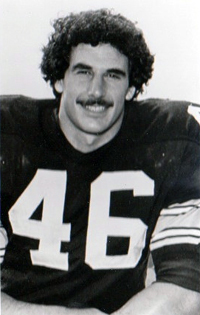 It was [Grossman’s] perspective on several topics related to his experiences with the Steelers and the Game I was hoping to capture as we sat down that cold, wet morning, face to face for the first time in 35 years. Ivan Cole: When was it that you realized that you could compete on an elite level? Like Ivan’s previous series, this was originally written for a now-defunct publication. Being as it is rather long even by our standards it has been divided into three parts. Part 1 gives you the background of Randy Grossman and his connection with Ivan Cole. I’m crossing the Highland Park Bridge in Pittsburgh to reconnect with an old college football teammate. It is an unseasonably cold, gray, wet day even for Pittsburgh. 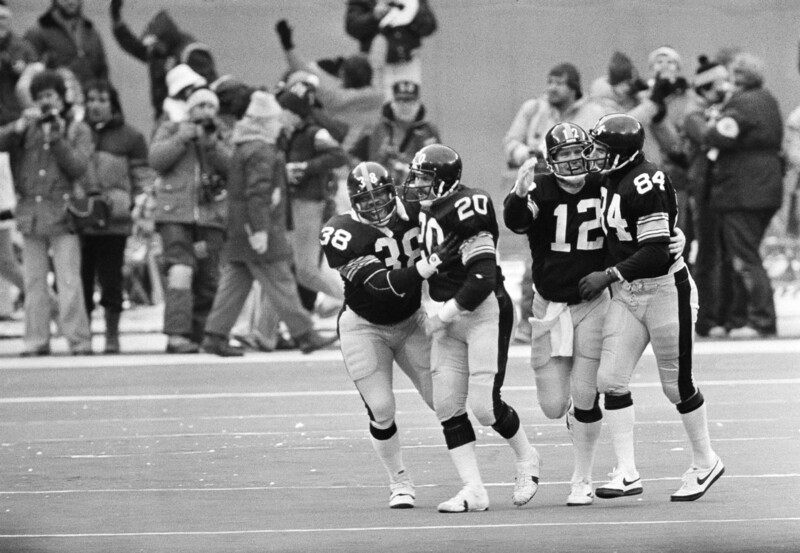 Sort of like the kind of day when Bradshaw would pick apart opposing secondaries which were unable to cover Swann and Stallworth even on a dry field, let alone a wet one. Weather is so often a factor at home games in the city where I was born and raised. Ice brings to mind the Steelers pummeling the Houston Oilers in the playoffs. Some snowy days take you back to Brian Urlacher being run over by a Bus. Today is Bradshaw and Franco in the rain. I park behind a nondescript building a couple of blocks from the base of the Highland Park Bridge in Aspinwall, along the north shore of the Allegheny River. And while I have never been to this place, I quickly realize that I am only about two miles as the crow flies from where I grew up. Of course, never having been a crow, navigating this part of Pittsburgh proves to be a more complicated task – a mix of horizontal and vertical challenges that make the journey more formidable than it might seem at first glance. During my freshman year in college I returned to Pittsburgh on a September weekend to attend something known as the Renaissance Classic at Three Rivers Stadium. The game featured Grambling and Morgan State University. You can read Part 1 here. This post continues with the interview. Ivan Cole: Nearly everything I’ve read about you as a scout describes you as an innovator. Bill Nunn: Because a lot of times they don’t relate to what was really going on. How I started was we [with Dan Rooney] had a conversation when he was just getting started. He wanted to know why I hadn’t gotten involved with the Steelers. I was covering black schools and doing a black All-American team. I was covering a black team every week. He asked if while I was out there I could pass some information on to him. I was a part time employee for the Steelers. Now again, there were so many black schools that had ballplayers at that time, because you’ve got to remember what was happening down in the South. So I was covering that, but I was also going to white schools like Alabama and places like that. And me being one of the few blacks in the position, they felt like I was able to make some inroads, though I had already established that. But, of course, it helped when I went to big schools such as Alabama because they were beginning to use the black players.